NEW YORK CITY (WABC) -- November 11 is Veterans Day, when the nation honors the men and women who have served in the U.S. military, but since it falls on a Saturday this year, the federal holiday was observed on Friday. The post office delivered mail and post offices were open on Friday, but not on Saturday. State and federal offices and the courts are closed. Banks had the option to close on Friday for Veterans Day, so your best bet is call your bank or check online before going. NJTransit and PATH trains operated on a normal weekday schedule on Friday, but NJT advises that riders could see delays up to an hour because of Amtrak work this weekend. 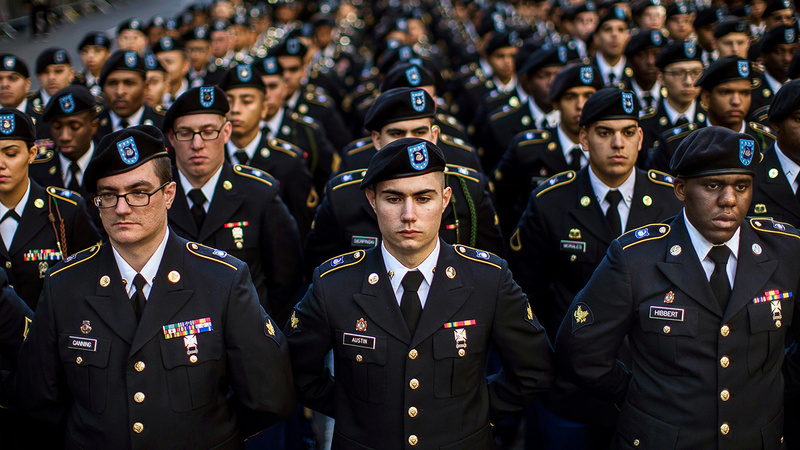 The Veterans Day Parade in New York City takes place on Saturday. Before the parade on Fifth Avenue, a ceremony will be held at the Eternal Light monument at Madison Square Park at 10 a.m. The ceremony ends with a wreath laying at 11:00 a.m. - the 11th hour of the 11 day of the 11th month. The parade will begin at 11:15 a.m. starting at 26th Street and continuing on Fifth Avenue to 52nd Street. Citi Bike is celebrating Veterans Day by offering free rides for service members and veterans. Anyone who shows their active or veteran military ID at the Grand Army Plaza and Central Park South or East 48 St and 5th Ave locations in Manhattan will receive $25 off an annual Citi Bike membership or a free 3-day pass. This event will take place from 10:00 am - 5:00 pm on Saturday, coinciding with the parade. Veterans Day is held on the anniversary of the end of World War I, which ended at the 11th hour of the 11th day of the 11th month of 1918, when the Armistice with Germany went into effect. The holiday was known as Armistice Day until 1954 when it was renamed Veterans Day.